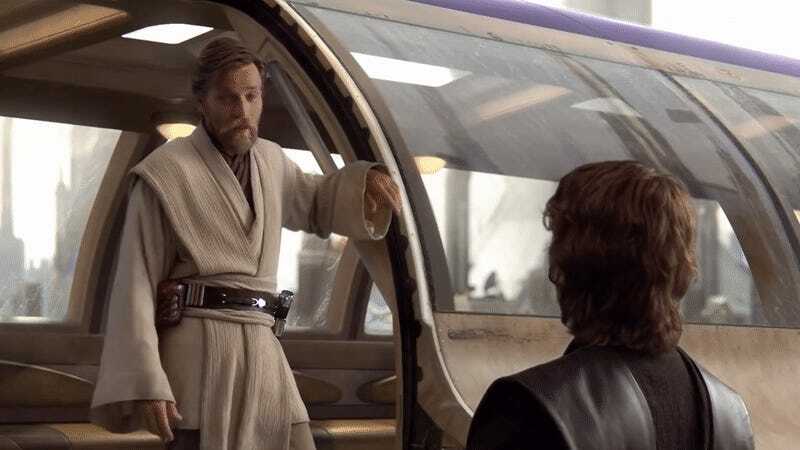 Ewan McGregor, pictured gesturing to all the fucks he does not give. We have reached the inevitable point in movie hype cycles where even dropping the subtitle of a sequel can generate enough discourse to surge the national grids of multiple nations. First, we had Avengers 4's reveal as Endgame. Now, we’re waiting on Star Wars: Episode IX. With the hype in mind, let’s harken back to a time when a title wasn’t all it was cracked up to be. 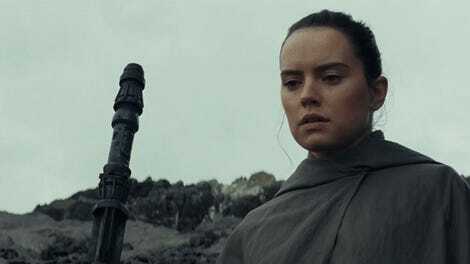 Given the iconic stature the subtitles of each entry in the main Star Wars line take on, it’s probably not surprising that the Internet is driving itself even more stark raving bonkers about learning the subtitle for this December’s purportedly final chapter of the Skywalker Saga than it did even for Avengers: Endgame. Go look at the mentions of basically any tweet from the official Star Wars twitter account in the last month or two and they’re likely filled with either people who are screeching “WHERE’S THE TITLE” or are still very mad about The Last Jedi. Last week, the fabled return of Lucasfilm’s regular youtube series The Star Wars Show had people certain a title was on the way, only for technical difficulties leading to the episode being pulled, after hours of speculation that Episode IX’s real name was on the way. Hell, it’s basically the only movie title that’s had fans actively wanting to listen in to a shareholder’s meeting Disney CEO Bob Iger held yesterday. This is the level of madness we have reached as a collective, Star Wars fans. Shareholder calls! But it was not always like this. Revealing a Star Wars title not only used to be a rarity back in the days when the prequels were being rolled out—and the thoughts of the ginormous amount of Star Wars material we have right now were but a twinkle in George Lucas’ eye—but they were also not something fans nor the stars of the film themselves would work themselves up into a frenzy over. At least not to the degree we’re seeing in 2019. It’s frankly, incredible. If only because multiple videos from the same red carpet show McGregor reacting with various states of incredulity to having the words “ATTACK OF THE CLONES” yelled at him by reporters. Could you imagine this happening today under the tightened grip of PR control that is the House of Mouse? But it’s also a delightful reminder that getting worked up about the name of a movie is not the be-all-and-end-all moment Star Wars fandom is currently turning the wait for Episode IX’s to be. Which, honestly? If we’re gonna get this worked up over a title, I might as well demand an official livestream to get both McGregor and Kidman’s reaction to Episode IX’s title. Hell, maybe that should be how we all learn it. Sometimes, you can afford to laugh at yourself. Or, if the opportunity ever arises, laugh at yourself alongside Nicole Kidman.